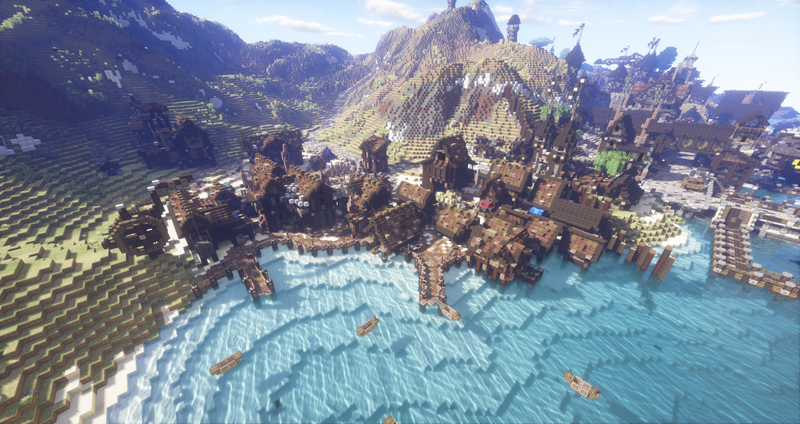 With the new reboot of Storm's Landing the staff team has decided to redo the current system in which players can purchase pre-built property and commission the Spawn and Build Team their own personalized build at spawn. Throughout Storm's Landing you will see multiple houses, business and market stalls with a sign that should look something like this. -First line states the original intended purpose of the specific build. This is not mandatory, and if you like the build but would like to use it for another purpose, that is up to your own discretion once you have bought the build. -Second line states availability. If there is not a sign on a build you are currently looking at that likely means that the build is taken or not for sale. But feel free to post below if you want to inquire further. -Third line states the build quality and area. Here it shows that this build is in the Mid-Level or Middle-Class area. Other things you may see are; Beach Slums, Dock-Market, Black Market, High Class and Slums Market. This list may grow as Storm's Landing does. Once you have taken a look through Storm's Landing and have found the property that you wish to purchase all you have to do is look at the sign posted above each exterior door and fill out the simple form below and one of the Spawn Team will get to you and finish out your request. The cost of a pre-built building depends on the area and size of the location you wish to own and is open for negotiation. On average the monthly rent for each area is as follows. Requesting a custom build is simple, first you have to find the area you want then fill out the short form below. Please be aware that when requesting a build the style of build will resemble other builds nearby. So if you choose a to request a build near the slums, you will be built a build of the same style as the slums. And lastly please note, custom builds do not come with interiors. You have to provide those yourself. Pricing on Custom Builds vary greatly and depend on the location and size of the build. All prices are full negotiable though you can expect something slightly more expensive than the pre-built prices listed above. In addition to the builds already placed onto the map the staff team has created a few sets of 'template' builds that can be found by simply going to /warp shopspawn. Here you will see five sizes of builds that you can request to be added to the main map if you do not see one already present that you like. 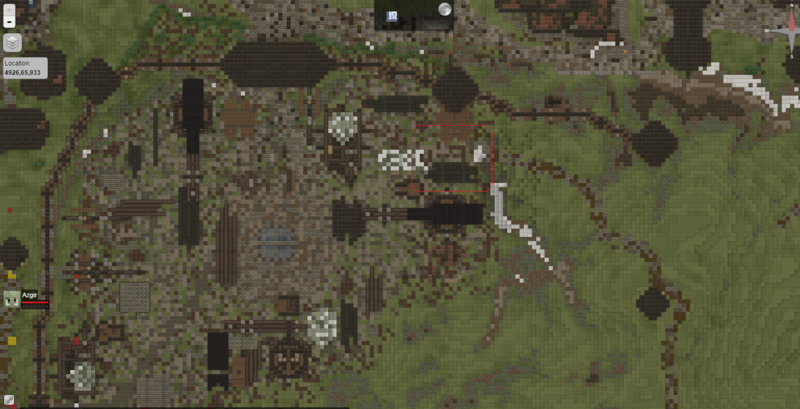 The shopspawn will continue to expand with more builds being added every so often. In addition to this, the spawn team is looking for builders who would like to contribute to the templates of builds found at shopspawn. 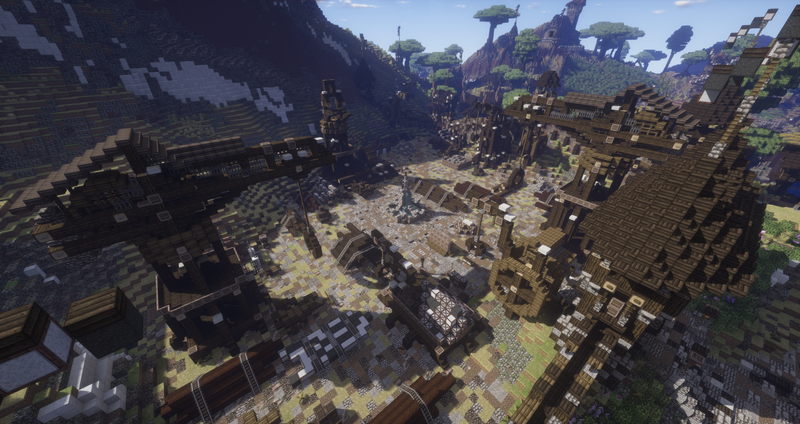 If you think you can create a build that is cohesive with the set style of Storm's Landing just check the dimensions of each build and either head to /warp creative2 or /warp buildcontest and try your hand at either the Mid-Level style or the slums style. 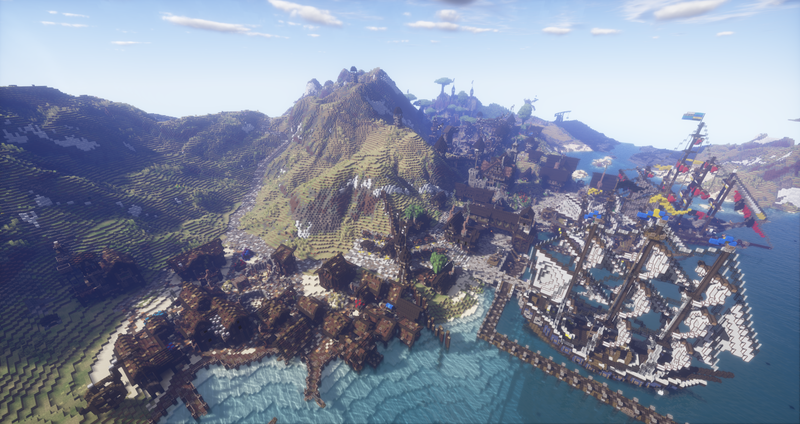 Once the build is done, contact either BrianAT16, Warwolf_1 or TheDeester to see if your build could be used. Please note, that just because you enter, there is no guarantee that your build will be used. Each tier of build that you build for spawn that is accepted by the team will earn you radiants. 500r for each tier one, 1k rads for tier two, 1.5k rads for tier 3, 2k rads for tier four and 2.5k rads for tier five. Good luck! If there is a build in /warp shopspawn that you like, go ahead and find a location for the build and fill out the application below. The rules of owning property are simple and as follows. As long as you follow these few rules you are free to own your property as long as you desire unless there is a monthly rent on your property such as with market stalls. -The main thing to remember when purchasing property in Storm's Landing is that activity is needed. If you have not logged in for a period of more than a month you will be in danger of losing your home and the materials you have stored within. The Staff team will give you warning beforehand, so that you may decide to remove your supplies or work out something so that you may keep your property.If you do plan an absence of more than a month, just let one of Spawn Team Members know before hand and we can be a bit more lenient with your property, within reason. -In addition to the above rule, if you are banned from the server, it shouldn't have to be said, but your property and materials that you keep stored at Storm's Landing are then forfeit. This does not apply to temp bans but only permanent bans of greater than a month with an appeal. 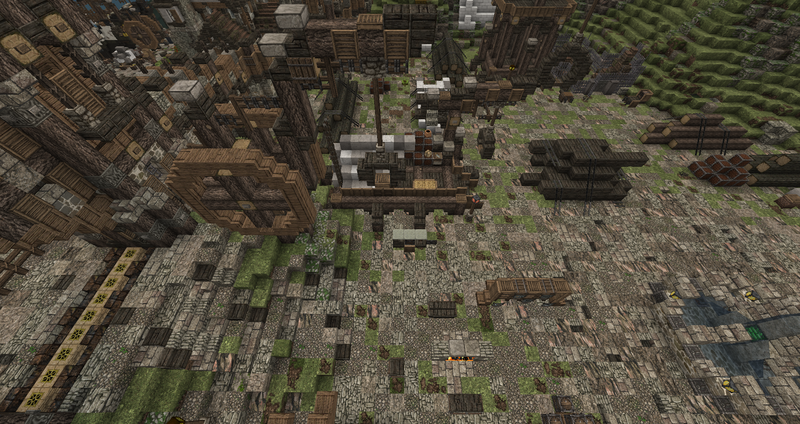 -Basement and any underground structures not created or approved by the Spawn or Build Team is not allowed. Anyone found to have created an underground basement or other structure without approval will have the structure removed and may possibly lose their right to own property in Storm's Landing. -The same goes for external additions to your home. Do not add anything drastic outside your home or edit the base 'house' itself without okaying it with the Spawn Team. Addition of small market stalls and other small things are okay. New rooms or other larger additions, are not. If you're unsure, it's best to ask. -Each player is limited to the purchase of only two buildings in Storm's Landing. There are no exceptions. -Houses are kept through rent, each month you will have to pay rent to keep your home. When rent needs to be posted a Spawn Staff member will post in this chat here and you will have to send the rads to either Kamaoe, TheDeester, Warwolf_1 or solusrequiem with a screenshot if the member is not online at the time of the payment. This is to ensure activity and to make sure that builds being rented out to players are being used to their fullest potential. Once a reminder is posted you have about a week with some leeway to make the payment. If you cannot get on, contact one of the team members and we can work something out. If you have any comments or concerns feel free to voice them below! -Intended Use: Producing wines, Might also be used as a sort of 'summer home' or meeting space. -Intended Use: Warehouse and operating area for shady business. Oh man. Ahhhhh I gotta get onnn! -Intended Use: Thieves Guild Safe house- The hostel. Bleeding the few tennents of the slums dry of what few coins they manage to steal. Id also like to commission a guild hovel in the basement that connects to the following Black market stall If I can. Let me know when you are IG and we can set you up. -Intended Use: Fletcher/Bowyer Shop and Home.